Add comfort to your seat belts! This OEM product is NO LONGER AVAILABLE. 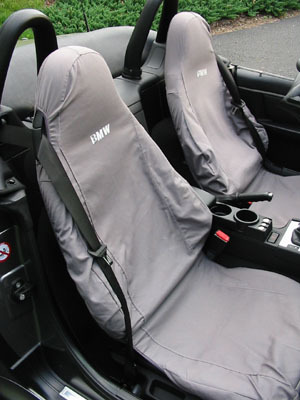 Official BMW Z3 roadster/coupe seat covers. 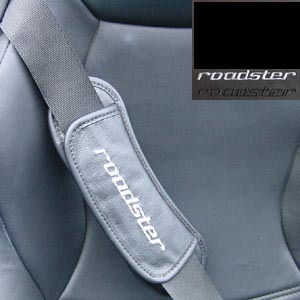 Save your interior from wear and tear and keep your seats cool in supper and warm in winter. Could be your seats are looking worn or tired, this is also a great way to hide imperfections. Easy on, easy off. Rugged cotton/poly cloth - Sold in pairs. Sorry - NO LONGER AVAILABLE.